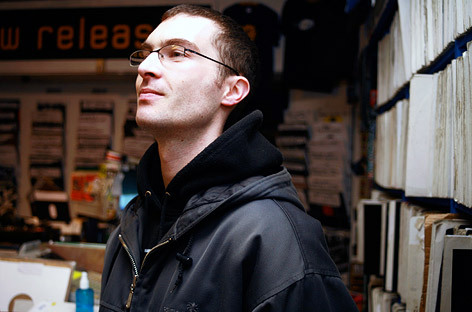 Peverelist,born Tom Ford, is notable for holding down the Rooted records dubstep specialist shop in Bristol and curating the Punch Drunk record label. Techno at heart but dubstep in name, his music bridges the gap between the hypnotic minimal patterns of techno and the heavyweight polyrhthmic machinations of dubstep. His own productions have been hugely influential in shaping the second-wave dubstep sound, drawing influences from UK & JA soundsystem culture and European and American house and techno. 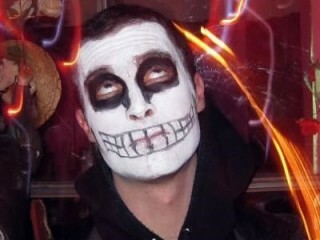 His releases include genre-defining classics on Skull Disco, Tectonic and Punch Drunk, culminating in the ‘Jarvik Mindstate’ album in late 2009. Peverelist productions and DJ sets are renowned for uncompromising, challenging, forward-thinking innovation and militant underground aesthetics, unusual in the increasingly homogenous and rave-orientated dubstep overground. He learnt his trade and furthered his passionate grassroots approach during a decade working in the UK underground frontline of inner city Bristol’s influential and last remaining independent record shop, Rooted Records. Peverelist is a resident at Bristol’s definitive and original dubstep club night Subloaded. He also co-promotes Bristol’s longest running monthly specialist dubstep event, Dubloaded, alongside Pinch, and has played at DMZ, FWD>>, toured Japan and played extensively in Europe.